There are a hundred video editing apps out in the App Store, but now the iOS users have one more. It is from none other than Apple itself. 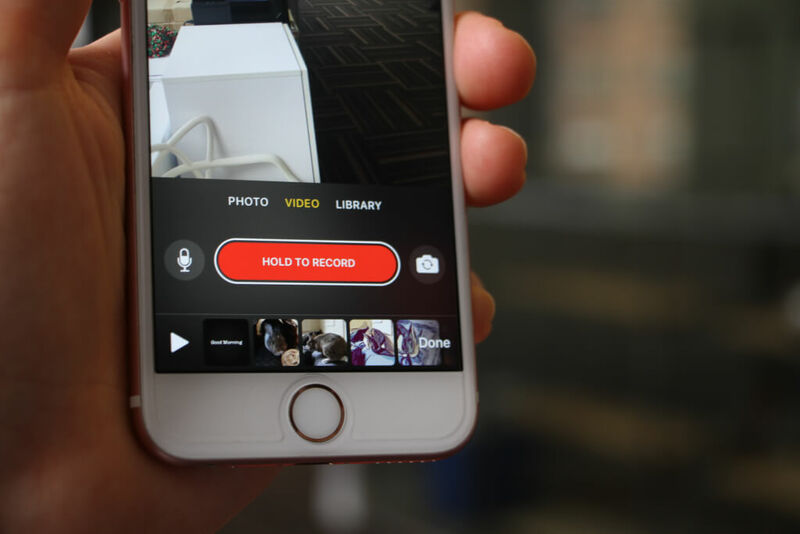 Recently, Apple has debuted its own video editing application – Clips. 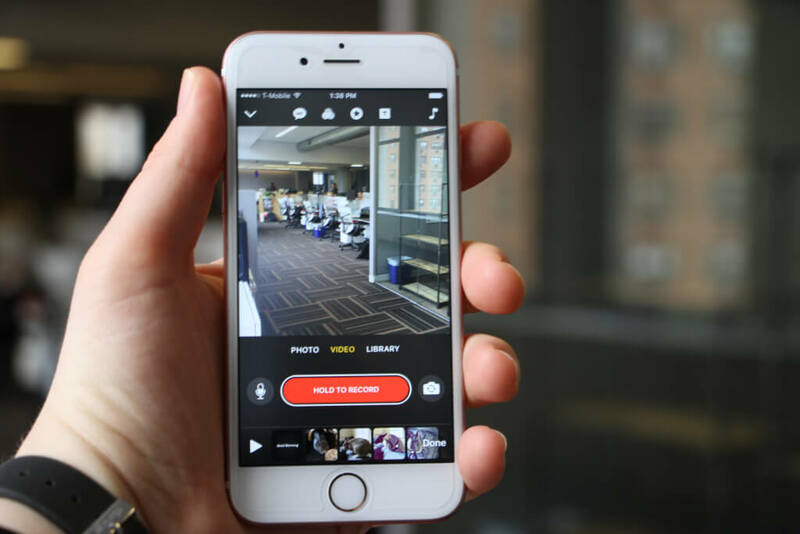 This video editor app is separate from the iPhone’s built-in photo editor, the Clips app focuses on offering an easy way to short and shareable videos. Now, we all know that Apple launches its own standalone apps from time to time, but they’ve never offered anything like this. The Clips app is another video editing tool, a simple solution for those who don’t have time learn the skill sets for Final Cut or iMovie. Unlike Snapchat, Instagram, and Facebook, which already offers some level of video editing features, Clips lets you edit videos independent of a social network. In other words, Clips offer a super simple way to put together photos and videos into a single package that you can fire off across media accounts and leverage company’s existing photo editing software in the process. However, this app didn’t come out completely out of a field, Bloomberg back in August reported that Apple is working on a social-focused camera app. 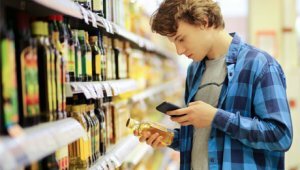 Moreover, since the sort of stickers and emojis Clips offers, it’s clear that the company is targeting Snapchat and Instagram’s large millennial user base, in addition to breaking users out of existing social ecosystems. For Apple, it’s their way of showcasing the company’s focus on camera hardware and editing software. Moreover, due to technology advancements, more people now prefer things to be easy when it comes to video editing. They want to tap a few buttons and get finished with their videos. Take Magisto for example. It is one of popular best video editing app solutions for automated video editing and storytelling that focuses on businesses as well as consumers. Not only that, Magisto also received $5.5 million in funding due to its ease of use. Although Magisto is quite easy video editing tool, users don’t get that much control over the creative process. Additionally, users have to wait 2 minutes for its magic to happen. While Magisto is a great app in its class and perfectly fine for users who don’t demand much control, but unfortunately people now want more customization. This is where Clips came in. Let’s take a look at the features of what this mighty video editing app has to offer. 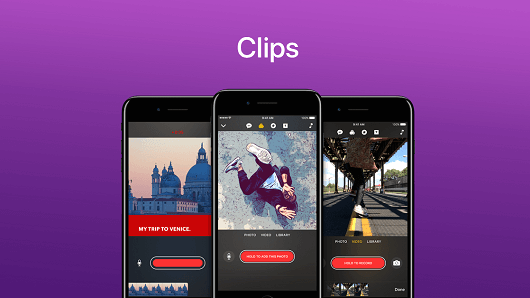 Unlike Final Cut and iMovie, Clips was built from ground up as a mobile app. In fact, Apple has become quite good at building a dead simple interface. That means, there is now no porting, no jamming square pegs into round holes and no legacy pieces. Furthermore, Apple started with the most basic elements of the experience and only added those where it felt necessary. While it’s built to offer the shortest route for shooting videos, but some features are still lacking in the earliest version of the app. However, the upside of this simplicity is there’s really no baggage to weigh you down. The app starts with a live view of the camera (in selfie mode by default). Below that, there is a long button written “Hold to Record” on it. Clips are actually a camera application in which everything that goes into a timeline on the bottom needs to go through that button first. To add it, users need to hold it down for the duration of time you want it in the final cut. Live titles do a quite simple job of capturing text. It’s the top of a lot of behind the scenes work by Apple. Using voice to text technology, Clips can add captions to videos in real time in eight different text styles. 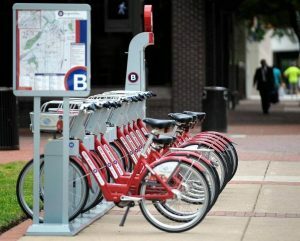 Though, it utilizes the iOS detection and requires an internet connection. The filters are limited, with only eight of them in the current version of Clips.in addition, it offers Apple’s existing photo filters and a few new novel sections, which turns a live video into a pulp-like image. Same goes for the emojis. Currently, the app offers up to 30 emojis of most frequently used. You can add others, but to do that, you’ll need to choose one of the top ones and then click on it. This brings up the emoji keyboard from where you can add new emoji. Once you add it to your video, you can drag it around the screen, rotate it, and adjust its size. Adding music to video is also straightforward. The app comes with a few dozens of tracks that run the emotional gamut. Though, you’ll have to first download them to add to your video, as it helps to Apple to keep the app’s total size low. However, it’s a nice feature and additionally, Apple has also tapped action-score god Hans Zimmer to create tense pieces of music. Furthermore, Clips also does a good job looping the added music automatically and seamlessly. This means users can’t cut music out of specific scenes, once it is added, it’s applied to the whole thing. In addition, the app also allows pulling in their own music using purchased music in the iTunes library, which is kind of sneaky in-app purchase feature to drive music downloads. Everything that user records appears on a timeline on the bottom. Each segment appears as its own square that user can arrange manually through dragging and dropping. The user can tap into one to get into the clip and from here, the user can fiddle around with filters, mute its audio, and edit it for the length by clicking scissors icon on the screen. The app exports video at 1080×1080. This square format is for the social media output, designed to be shot in portrait mode. The edited videos can be shared on any platform that can handle MPEG video format, and by default, it provides share option for Instagram, Facebook, Vimeo, Youtube, and Messages. What’s The Future of Clips? Upon the launch of the app, Apple said they will be updating the app regularly. This means, expect those filters to be updated soon. In addition, Apple may offer extra premium content to further monetize the app, though it’s just a speculation. 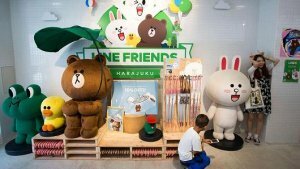 Moreover, the company has no plan to bundle the app into any of their hardware devices, meaning the company is seeing the app as a bit of fun, rather than making it an essential piece of software. Presently, Clips is a simple video editing app, simple by design to make shareable videos easily. And, there is really not much difference between iPhone and iPad version of Clips. Though, Apple does offer a quick way in tablet version to make presentations for classrooms. Lastly, the app, as it stands, is mostly about simplicity which actually people love these days. Take any startup app for example. 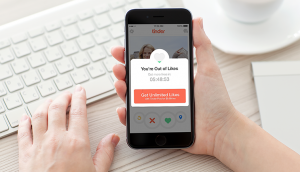 Uber, Ola, Instacart, or Airbnb, all these apps offer the simplest user interface possible. In fact, if you approach any top mobile app development company with your app idea, they’ll surely suggest going for simple navigation and user interface. Because that’s what users demand. Therefore, the design should be simple, making common tasks easy and provide good shortcuts related to longer procedures, if any. Moreover, since mobile video views have been increased by 400% in past years, it’s worth moving forward, if you have a mobile app idea in mind. This page was last edited on July 2nd, 2018, at 6:54. Want to Develop a Video Editing App Like Clips? We Can Help!